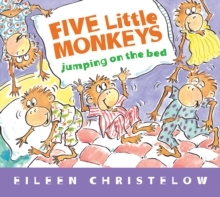 Five little monkeys jumping on the bed.One fell off and bumped his head.The mama called the doctor. 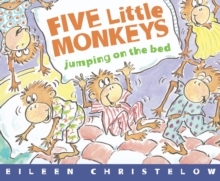 The doctor said, "No more monkeys jumping on the bed!" 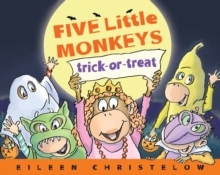 The uproarious rhyme is brought to life in this family favorite. With its mischievous illustrations and surprising twist, this contemporary classic, now with a padded cover, is a sturdy and beautiful book to give as a gift or add to a home library.